The New Moon occurred in the sign of Pisces on the 17th and the First Quarter Moon will occur on March 24th. 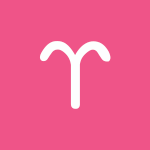 While the recent New Moon has you focusing on replenishment and rest, dear Aries, you’re also prompted to begin anew on a personal level today with the Sun entering your sign. You are doing some soul-searching, and a lot is going on behind the scenes, but you’re also highly noticeable and effective in the outside world. If you’ve been neglecting your psychic, spiritual, and emotional needs, then this is a time that forces you to pay attention. At the same time, you are encouraged to look ahead and “seize the day” as the new Sun cycle helps in making an impression. The Sun will stay in Aries until April 19th, and this cycle puts your goal and needs up front and center. 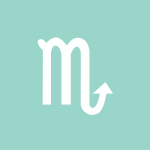 Note that Mercury will retrograde in your sign from March 22nd to April 15th, and you may not be quite as decisive as you typically are at this time of the year, but you are sure to feel the momentum start to pick up. 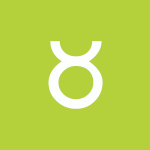 The New Moon just three days ago put the focus on making contacts and reaching out to others, dear Taurus. Today, however, the Sun enters your privacy sector, so while networking is important now, part of you needs some time to yourself to heal, forgive, and rest. The Sun will spend a month (until April 19th) here, and this is a time to tie up loose ends, put an end to projects and attitudes that no longer serve your purpose, and get in better touch with your dreams and inner world. You are more aware of the psychic undercurrents around you during this period. It’s a good time for forgiving others and for letting go, if necessary. You may have a difficult time seeing yourself as others see you, and decisions may require more time than usual. However, more than likely, they can wait! 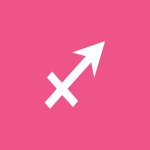 Today, the Moon spends the day in your sign, and you can be more intuitive or emotionally impulsive. The New Moon that occurred three days ago has brought more attention to your overarching life-plan goals or career, dear Gemini, and this theme does continue a while longer. However, the Spring Equinox brings the need to network and honor your connections with others. The Sun will transit your solar eleventh house from today until April 19th, and this is a period for prioritizing the relationships in your life. You have stronger influence on friends and groups during this period, and this in turn boosts your own self-esteem. Being a team player will bring the best rewards. While this transit typically promises a livelier social calendar, Mercury will be retrograde in this area of your chart from March 22nd to April 15th, which may tone things down a tad. The New Moon that occurred three days ago has encouraged a need to break out of the routine, dear Cancer. Even so, the Sun moves into your professional, public sector today, beginning a four-week cycle that brings more power and attention to your career and responsibilities. This transit lasts until April 19th and ties your ego and identity more strongly to your professional or social standing and your ability to meet your obligations. Recognition or notice for your efforts can be forthcoming in the weeks ahead. You’re more personally invested in your accomplishments and might be in higher demand than usual now. 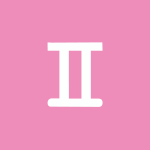 Note that Mercury will retrograde for part of this time in the same sector of your chart — from March 22nd to April 15th — and there can be some delays or backstepping involved. 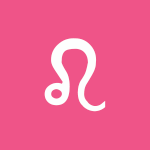 The New Moon that occurred three days ago has brought extra attention to your intimacy sector, dear Leo. Even so, the Sun enters your adventure sector today, and a desire to come out of the woodworks is with you. The astrological new year begins, and this places a stronger focus on gaining new experiences and knowledge for you over the coming weeks. During this cycle, you are not as content with the daily grind, and instead you desire experience, adventure, and learning — of the mind, body, and spirit. You crave and seek out a little more from life than the ordinary. While on some level you could be feeling as if you are reawakening, Mercury’s retrograde during this time (from March 22nd to April 15th) can point to some delays, backtracking, or rethinking related to adventure-seeking and mind expansion. 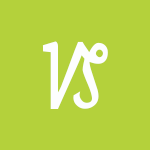 The New Moon that occurred three days ago has brought extra attention to your relationships, dear Virgo. This can be about ending or starting a partnership, redefining an existing one, or defining what you do and don’t want from others. Today, the Sun moves into your intimacy sector and will transit there until April 19th. The astrological New Year begins with the Sun’s entry into Aries and your solar eighth house, starting a month-long cycle in which you have more power or energy to make personal transformations. It’s a more introspective, deeper, intense period of the year. You are motivated to understand yourself, your relationships, and a significant other during this period, and you are also interested in projects, people, and experiences that stimulate your deeper feelings or that demand more concentration and commitment. Today’s vibes are lovely for cooperation. The New Moon three days ago brought take-charge energy for new beginnings on the work and health front, dear Libra. While it remains a good time for taking care of business, handling details, and increasing your efficiency, today, the Sun enters the first degree of the zodiac and begins its transit of your sector of partnerships. The weeks ahead are important ones for bringing more balance into your life. This cycle, lasting until April 19th, brings out your need for others, and particularly a partner in some shape or form. Relationships with others provide a mirror for your relationship with yourself. While work continues to take on special importance, your social life is increasingly in focus. Today, Venus forms a creative aspect to Jupiter, and others are attracted to you, more so than usual. 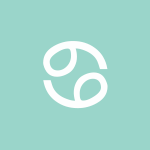 The New Moon three days ago occurred in your sector of romance, creative self-expression, recreation, children, and hobbies, dear Scorpio, and your attention is pulled to these things, more than usual. While this continues a while longer, the Sun enters your work and health sector today and will transit there until April 19th. During this month-long period, your ego and identity are wrapped up in the work or services you provide, as well as the success of any self-care programs. It’s a good time to work on new health and fitness regimes, for attention to important daily details and tasks, and for organizing your life in small but significant ways. This is a time for paying particular attention to improving or maintaining health and wellness endeavors, daily routines, and work projects. Getting organized and enjoying what you do may be more complicated than usual this year with Mercury’s retrograde in this same sector from March 22nd to April 15th, however. The New Moon that occurred just three days ago pulled your focus to family and home, dear Sagittarius. While this continues for a while, today, the Sun enters your creative solar fifth house. This launches a month-long cycle in which you explore your creativity, romantic feelings, and the ways you express your unique talents and personality. During this self-expressive period, you thrive on others’ feedback and good vibes, and you are more openly affectionate and playful. The need to express yourself creatively and uniquely is strong. You might pay more attention to personal hobbies or recreation and entertainment. Keep in mind that Mercury will be retrograde in this area of your solar chart for some of this transit (from March 22nd to April 15th), and there may be some complications in these areas of life to deal with. The New Moon just three days ago has provided you with more energy and power for communications, learning, and connecting, dear Capricorn. While this theme continues for a while longer, today, the Sun moves into your home and family sector, encouraging some downtime. There remains a lot of mental and physical activity in your forecast, but the Sun’s month-long cycle that begins today also reminds you of the need for downtime, family, and familiarity. Worldly ambitions tend to take a backseat now. You are tending to the hearth and deriving security from the familiar. Your focus now should be on making yourself feel secure and content in your personal environment and in your own skin. In fact, it’s a critical time for working on your self-esteem. 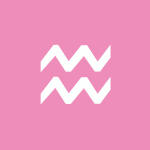 The New Moon that occurred three days ago put a strong emphasis on your resources and comfort needs, dear Aquarius. These themes continue, but today, the Sun enters your communications sector and will shine its light there until April 19th. This new month-long cycle can involve more reaching out, learning, and connecting. 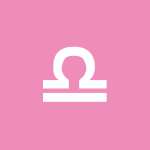 You take increased pride in your studies, communications, light travels, connections, and casual relationships or associations during this cycle. This is a time for exploring new interests and learning new things, but not the best time for concentrated efforts. This transit stimulates your curiosity and encourages diverse interests. With Mercury retrograde here for part of this cycle (from March 22nd to April 15th), you may be dealing with some miscommunications or backtracking, however. 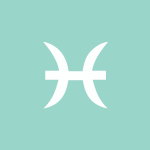 The New Moon three days ago brought special attention to your personality, image, and health, dear Pisces. While this continues, the Sun enters your resources sector today, shifting more of your focus to matters of money, comfort, and security. This cycle that lasts until April 19th puts your resources, finances, talents, and business on the front burner. You are more heavily invested in practical matters, stability, and money-making capacity. You can be more motivated to build your resources. It’s also a time for developing your natural talents and, on a psychological level, finding ways to boost your self-image and conduct yourself with increased self-respect and sense of your value. Take stock of what you have and work on building your feelings of abundance and comfort with yourself. Mercury will retrograde in the same sector for part of this cycle — from March 22nd to April 15th — and you’d be wise to look back at what worked for you in the past before moving forward with these themes. Above are astrological event highlights for the day. Full Horoscopes are at Cafe Astrology. 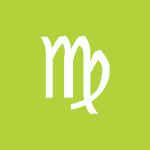 If Your Birthday is March 20th, If Today is Your Birthday full horoscope here. We are ready to take action and to take on challenges, and we can become frustrated with stagnant conditions. Moon 22° Sagittarius 02' 30"